This is pretty much the best deal in miles and points and the offer seesaws between 50,000 and 60,000 miles. 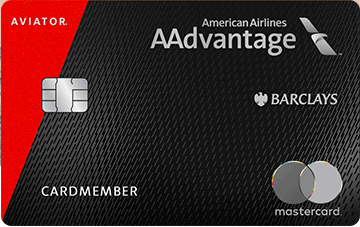 As of yesterday, the offer is back at 60,000 miles and with a new AAdvantage Aviator Red World Elite Mastercard and payment of the $95 annual fee, thats what Barclays will give you. That’s right – you don’t need to meet any minimum spend besides one purchase and the $95 fee (not waived). You can get this in addition to a card like the Citi /AAdvantage Platinum Select World Elite MasterCard which has its own offer. Having one does not preclude you from the other. You should be able to get this Aviator card if you haven’t had it before or last closed the card 24 months ago. I value American Airlines miles at 1.5 cents each, meaning this new account bonus is worth $805 after deducting the fee. But you can definitely exceed $805 in value by leaps and bounds…. 120,00 AAdvantage miles can get you far – and in style. Just have a refresher on where and how with my post 5 reasons American Airlines AAdvantage miles are underrated. I highly recommend Qantas First, JAL First, Cathay Pacific First, the Etihad First Class Apartments, and Qatar’s Qsuites. You could fly from the US to Africa via Doha for just 140,000 miles round trip in their sweet QSuites “First in Business” concept.